Drop stitch cowl. Design by Jennifer Emslie. 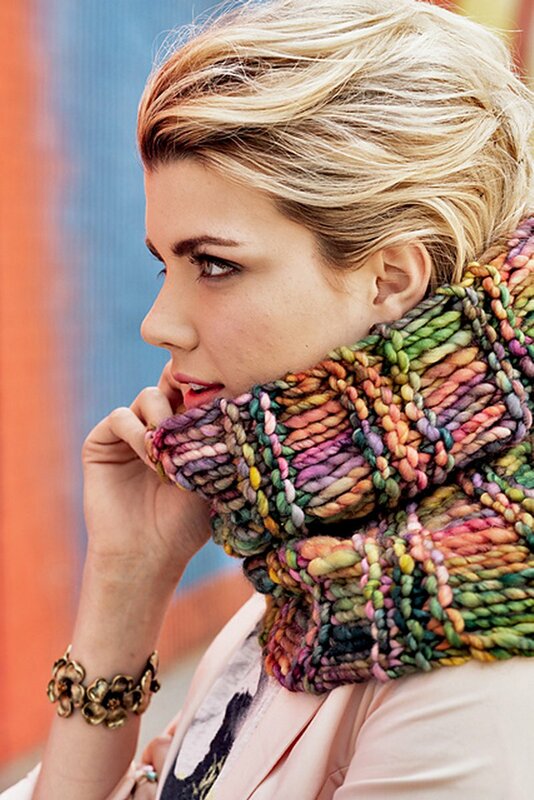 Malabrigo TriBeCa Patterns - Murray Cowl - PDF DOWNLOAD is a similar pattern: 7 (1.75 sts. / inch) finished gauge, scarf garment, for women, super bulky (11 sts or less/4 in) yarn gauge, malabrigo rasta suggested yarn, and 90 yarn yardage. You may also like Malabrigo Book 11: Aniversario Patterns - Barrow - PDF DOWNLOAD, which is another similar pattern: 7 (1.75 sts. / inch) finished gauge, scarf garment, for women, super bulky (11 sts or less/4 in) yarn gauge, and malabrigo rasta suggested yarn. You may enjoy taking a look at the Malabrigo Rasta Bushwick Hat, Malabrigo Rasta Cobble Hill Pullover, Malabrigo Rasta Gowanus Pullover, and Malabrigo Rasta The Heights Cowl kits all using Malabrigo Book Seven: Rasta in Brooklyn Patterns. Hopefully our suggested yarn options for Windsor Terrace - PDF DOWNLOAD can help you come up with your next exciting new project idea!